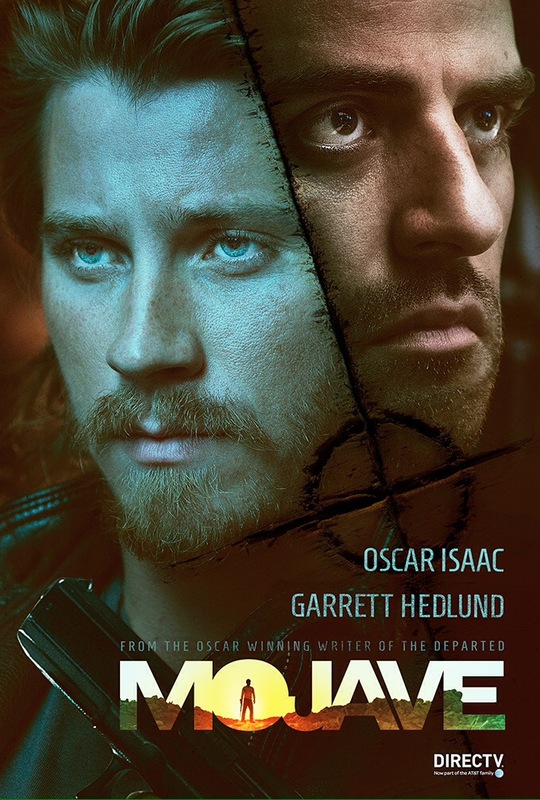 Starring: Garrett Hedlund, Oscar Isaac, Mark Wahlberg, Walton Goggins, Louise Bourgoin, Matt Jones, Fran Kranz, Niall Madden, Ron Duncan, Oliver Cooper. After winning an Oscar for his taught and labyrinthine screenplay duties on Martin Scorsese’s The Departed, William Monahan decided to embark on his own directorial projects. His debut was the misjudged, crime drama London Boulevard which, although not entirely successful, still had some flourishes of substance. Now, with Mojave, Monahan delivers a huge surprise. A surprise, that an Oscar winning writer can deliver something so woefully inadequate. Tortured, put upon, artist Thomas (Garrett Hedlund) heads into the desert to find himself and what he wants from life. 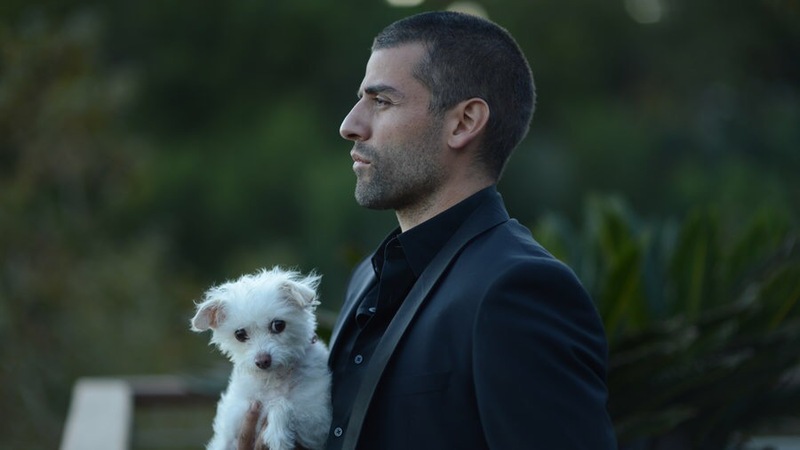 What he finds is Jack (Oscar Isaac), a tortured, homicidal drifter which leads to Thomas committing a deadly act that he can’t run away from. Jack intends to remind him of it by following him back to L.A. to challenge him to face up to it while destroying his privileged lifestyle in the process. In the interests of fairness, I have to admit that Mojave’s premise in two suicidal guys who find themselves hunting one another is a promising one. But that’s also what makes the film so frustrating. It has the potential to be an intense, cat-and-mouse revenge tale but never builds on it’s promise. There’s also a potential intelligence to the film as it makes references to Shakespeare, T.E. Lawrence and explores the philosophical theory of the duality of man. It seems to wear it’s existential heart on it’s sleeve and the characters talk a good game but Monahan never delivers anything other than words. And even then, some of it is incomprehensible drivel that’s dressed up to sound deep. He lacks the ability crank up the tension when it’s plain to see that the film is squandering it’s positives right before your eyes. To be frank, the problem is with the writing. Plot developments are woefully and insultingly handled; one instance, in particular, has a police officer make a random appearance in the middle of the desert without any explanation as to why he’s there. The only reason is to move the plot along and that’s not the only time this happens throughout the film. It’s problems like this that lead to the realisation that Monahan is not showing any attention to detail and seemingly doesn’t care that he’s insulting his audiences intelligence. Having Garrett Hedlund as the lead doesn’t help matters either; he simply doesn’t have the gravitas to carry the film and it’s very difficult to find any sympathy for his privileged, self-important character. The least said about Mark Wahlberg’s presence, the better. He has nothing to do but hang around in a dressing gown and entertain hookers and it’s hard to fathom why he even made an appearance at all. Trivia: Oscar Isaac and Garrett Hedlund previously appeared together in Inside Llewyn Davis while Mark Wahlberg and Hedlund worked together on Four Brothers, as the oldest and youngest of the four, respectively. This entry was posted on April 28, 2016 at 10:56 am and is filed under thriller with tags 2016. You can follow any responses to this entry through the RSS 2.0 feed. You can leave a response, or trackback from your own site. What a shame that this turned out to be disappointing, despite the promising set up. It is a shame, Vinnie. I really liked the sound of it beforehand but it’s all the over place. All promise and potential was squandered. I hate when a movie has the potential to be something special and then falls completely flat. Me too, man. If that’s a pet hate then this film will do you no favours. I’ll steer clear of this movie then. Too bad! All you had to say was Oscar Isaac, and I was interested. I hear you Cindy. Isaac has been on a great roll for several years now but this is one he’d probably rather forget. That said, Isaac is fantastic in it. Sounds like a stinker. I’d read only one review of this before yours, which was a little more positive, but not to the point that I was going to see it. I’ll actively steer clear now! It’s probably best to give this one a wide berth, Stu. It had so much potential and the premise is good but it seriously fails to deliver and it’s hard to identify with Hedlund’s character. Isaac is great but that’s about it. Isaac’s one of the most dependable and versatile actors working today, isn’t he? I’m almost tempted just because he’s in it…but no. Haha! My three favourite actors today are Fassbender, Hardy and Isaac. I succumbed to the temptation of Isaac in Mojave but trust me, it’s pretty bad. Haha! The whole film kinda made me chuckle, man. I wasn’t a fan at all. Saw this recently and completely agree with you as Isaac was really good with this, but without caring about the characters it’s hard to really get into this film. Cheers Nostra. Yeah, Isaac is great but he can’t save a very dull and uninteresting film. It had potential but it really didn’t work out. Hugely disappointing Abbi. Ok, I wasn’t expecting a potential classic or anything but I thought it’d be much better than the dross it delivered. Oh wow! This movie sounds like it had potential that it just wasted. Ouch. Great work, and sorry you wasted your time. I’m sorry I wasted my time too, Zoë. I suppose I was banking on Oscar Isaac’s run of great films and performances. He delivers as expected but the film doesn’t. It was insultingly bad! If you catch it for Isaac you won’t be disappointed in his work, Jordan. He’s great but the dialogue can be woeful at times and the film overall doesn’t really work. That said, if you lower your expectations you might find something in it. Ah, that’s a bummer. I had high hopes when I saw the trailer for this, especially given the presence of Isaac who can do no wrong at the moment. Glad to hear he at least holds up his end of the bargain! Yup, the trailer and the premise certainly set this one up well, Adam, but it just doesn’t deliver. Isaac is the only one to come out of this fairly well. Some of his dialogue is terrible but he makes the most of what he’s got. Absolutely, Jay. I genuinely thought this could be a quality little sleeper but there’s a good reason why this one faded fast.